Do you think they want a treat? 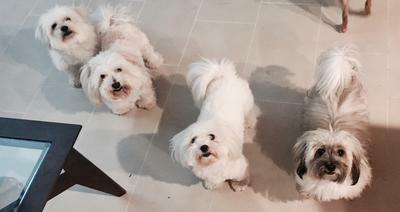 Here is a picture of all 4 dogs. Macey is the multi colored female. The Alpha for sure. Allee, our princess that loves to roll around in the dirt. Daphne June,AKA Doodles. Fearless and full of love.